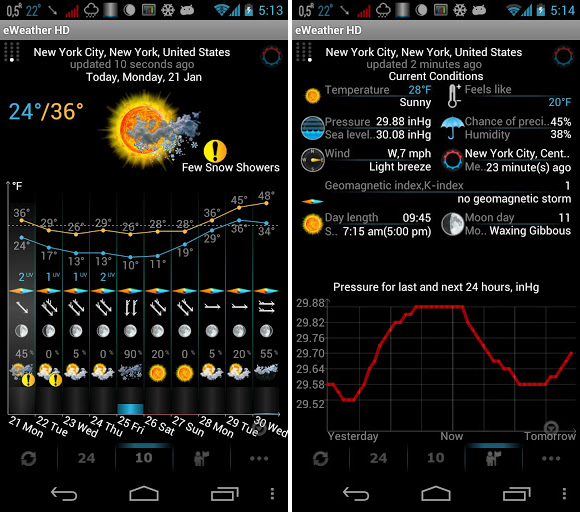 eWeather HD version 5.3.9 features some design improvements and other overall enhancements! 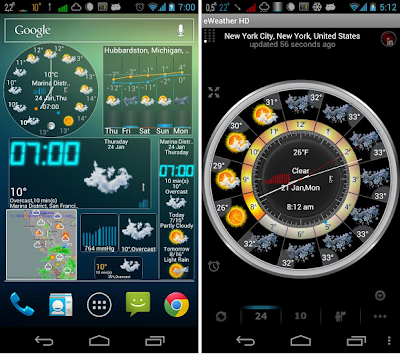 • 126 weather alert categories. - HD icons for Classic and Symbol themes. - New look for status bar pull down area. 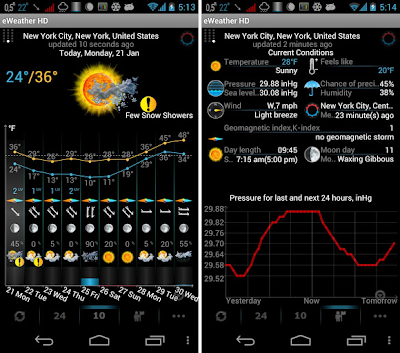 - Precipitation amount (blue bar height) and precipitation probability (blue bar width) on clock dial. - Enter the activation code to remove the trial.